However, even though the following words aren’t ranked as high (vain, self conscious, etc) I will say that they do have a certain weight age in how I go about in my daily routine. 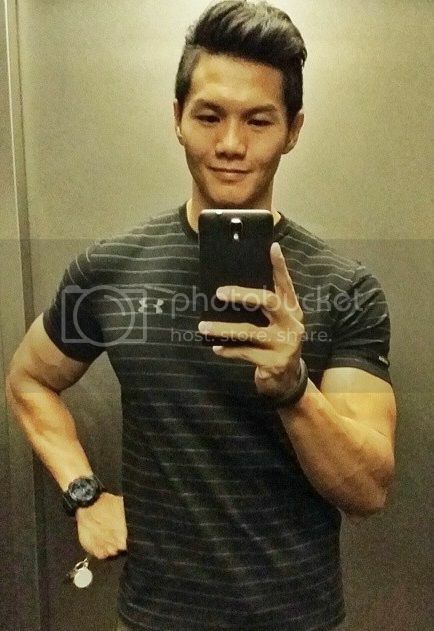 Having said that, I’m guessing that must be the reason why I got selected to be featured on HerWorld as one of the three ‘spornosexual’ guys in Singapore. This new term embodies the modern day man who's often at the gym working on his physique. He's well built, tanned and hot. He prefers to spend his time, and his money, on his physical upkeep. And he doesn't shy away from showing off his results. Leading a highly active lifestyle, I find that I have to take extra care of my complexion as I’m always sweating and the gym is also not the cleanest place to hang out. I was previously introduced to the range of Dermagold Facial Products just before leaving for my Korea trip last November and I really love the results. 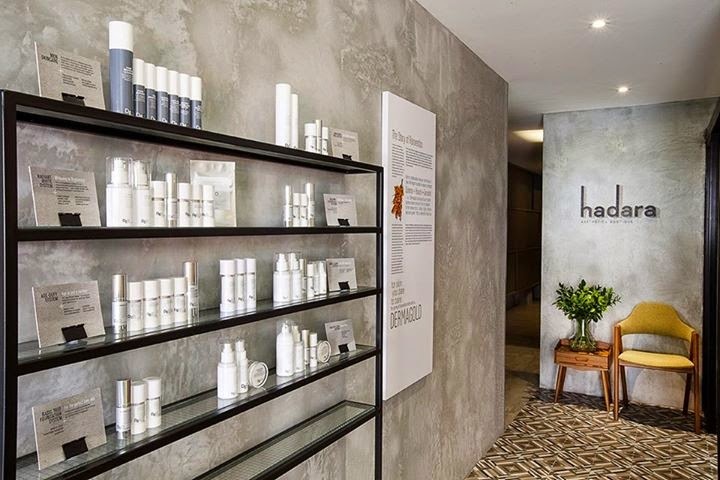 And when I heard about Hadara Aesthetic Boutique that uses Dermagold products for facials, I told myself that I have to definitely give it a try! I have been shying away from having facials for the past 8 years due to bad experiences that I had during my national service days. My mum saw that my complexion got really bad and so she bought a facial package for me. I used to go for my facials every Friday when I booked out from camp. It sounds really relaxing but what actually happened was the direct opposite. The lady will prick and squeeze every acne that she sees and I always leave with a swollen face. That’s also how I got all the unsightly scars left on my face. When I checked in at Hadara, I brought all my concerns up to the therapist and she assured me that the treatment that I was going through is nothing like what I experienced years ago. I was recommended the Hadara Power Facial Treatment + Hadara Eye Sparkling Therapy. As I managed to squeeze in a facial session during my lunch timing, I was really looking forward to a relaxing session that can get be recharged for the rest of the day. Here‘s a shot taken right before the start of the facial session. After cleansing and scrubbing, came the extraction part where I had a great amount of fear. Before I mentioned anything, the therapist reassured me that it will not be the same as what I’ve experienced previously. And true enough, it didn’t hurt a single bit! The therapist was really gentle and didn’t force her way through the extraction. The next step after the extraction was my favourite;the Cleopineairspray! Cleopine ampoules and air spray are invented by a Korean doctor. It is manufactured using a patented technology and it is FDA approved as a food substance. Cleopine ampoule is especially suitable for sensitive skin and is penetrated into the skin using a special nano--‐technology air spray. Complementing the Hadara Power Facial was the Sparkling eye therapy. The therapist shared with me that too much screen time will cause the eyes to look really tired, something that I am very much concerned with. It is pretty significant that my eyes are looking really tired these past 2 years. The sparking eye therapy stimulates blood flow to the skin, muscles and capillaries in the areas around the eyes, helping to drain excess fluids, reduce sagging areas, tone the muscles and nourish new cell growth. De- stressing the muscles that cause crow’s feet. This therapy also activates the pressure points around the eye sockets to help release tension in the visual system and increase the flow of life energy to the eyes. 90mins later, I was done with the wonderful treatment and my face felt really light and clean. Some sensitive areas along the T-zone have calmed down too. Limaran and I also managed to grab a quick photo with the beautiful owners of Hadara Aesthetic Boutique. 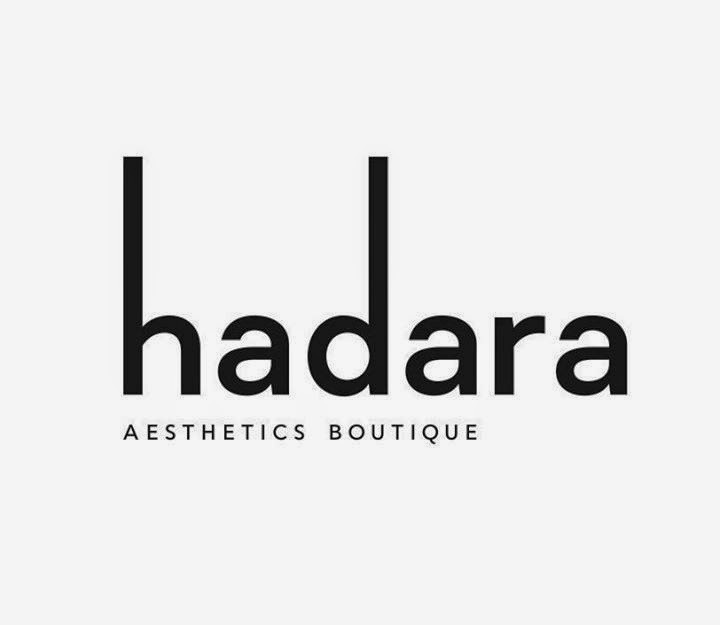 If you’re looking for a Aesthetic Boutique that uses quality products on you, remember to give Hadara a shot! Dermagold is a home grown brand that is designed for Singaporean skin. 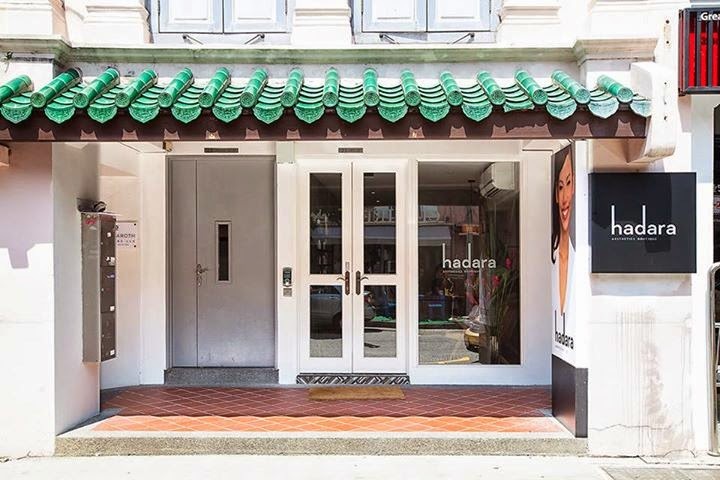 walking distance from Raffles Place MRT or Clarke Quay MRT. I was looking for article on spa in dubai when i came across this inspirational read. thanks for the post.